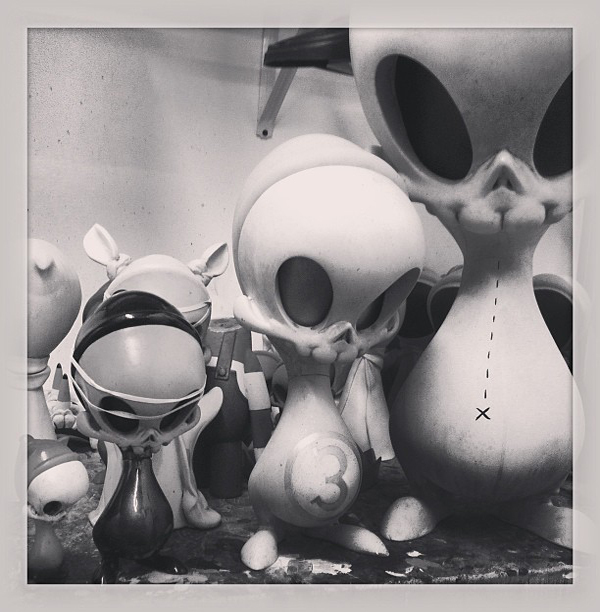 Kathie Olivas just sent us an image of her “studio mess” and it looks like she is working on a gorgeous Skelve for her show “Scout“. We hope to see more soon, but we definitely love fourteen inches of Skelve. 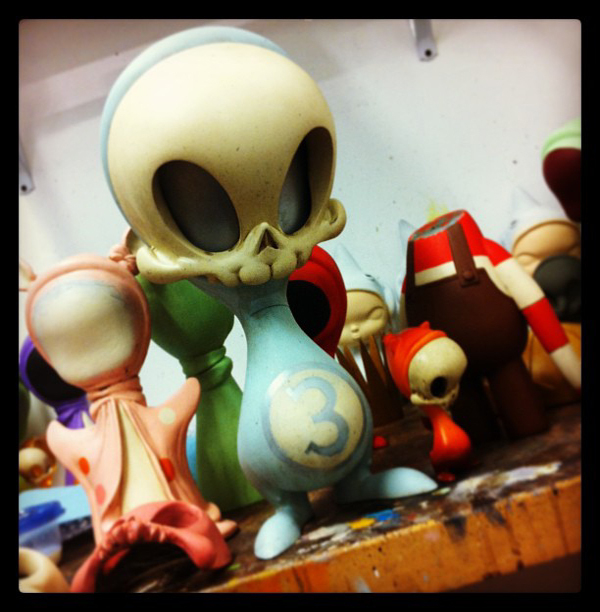 Look for this Skelve and more from Kathie Olivas‘ “Scout” April 5th at Stranger Factory along with Scott Radke’s “Interface”, and Stephan Webb’s “Evolutionary End Game”. An opening reception will occur April 5th from 6-9pm.